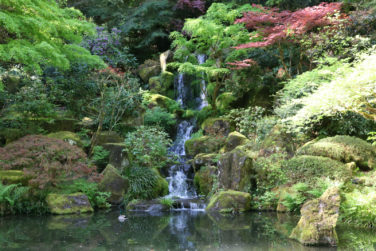 The largest garden, the Strolling Pond Garden [chisen kaiyu shiki teien] consists of Upper and Lower Ponds connected by a flowing stream. 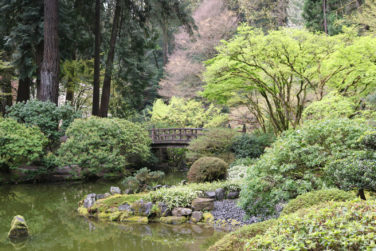 The Upper Pond features the iconic Moon Bridge, while the Lower Pond has a Zig-Zag bridge [yatsuhashi] which weaves through beds of Japanese iris against the backdrop of the stunning Heavenly Falls. 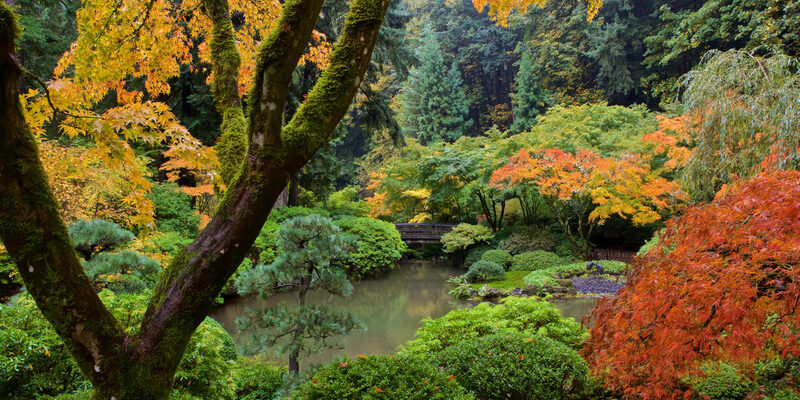 Historically, strolling pond gardens were attached to the estates of aristocrats and feudal lords [daimyo] during the Edo period (1603–1867). They were sometimes designed to be reflections of a landscape once visited, or the place of one’s birth, or even a famous place in China. 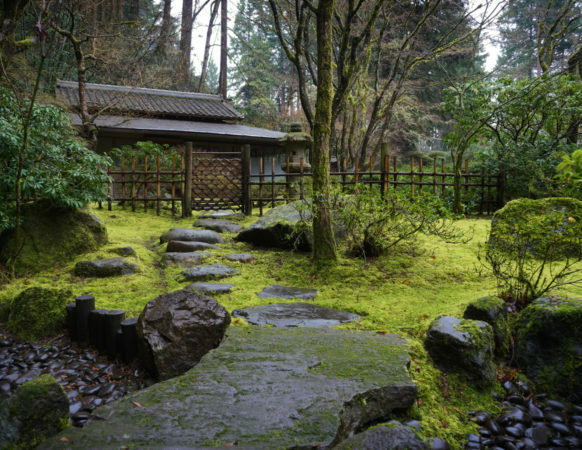 An earlier style of pond garden called chisen senyu shiki was popular during the Heian period (794–1185), but these earlier gardens were typically viewed from boats rather than from meandering pathways. 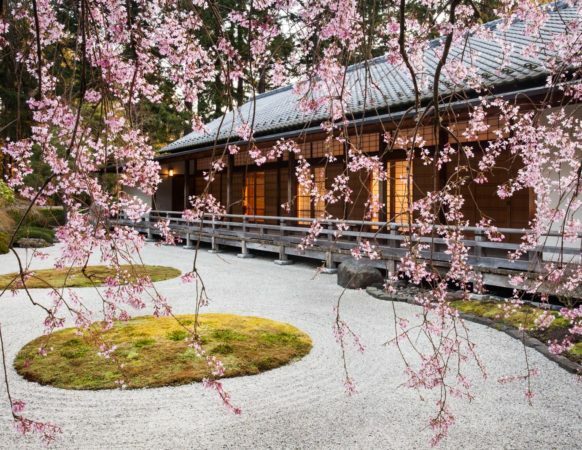 Both of these styles have inspired poetry and art, but in Edo times — when strolling pond gardens were at their height — the large scale and grand style of the strolling pond garden served the daimyo’s interest in luxury and the display of wealth.